Ronald Junior Fazenbaker, 68, passed away peacefully on Friday, November 30, 2018, at the Chamberlain Graceful Living Center in Cumberland. Born on March 11, 1950, in Zihlman, he was the son of the late Junior B. and Thelma (Lashbaugh) Fazenbaker. In addition to his parents, he was preceded in death a by son Ronald J. Fazenbaker II. 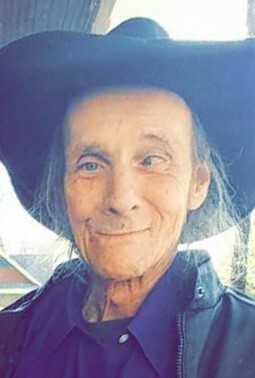 Ronald loved rock music and enjoyed hunting, fishing and camping in the outdoors. He loved to tell jokes, was a handyman and a jack of all trades. He was known for his cowboy hats and boots. Surviving are children, Rhonda Fazenbaker, Christina Willison and husband Steven, Jeremy Robison and Jason Robison and wife Kelly; grandchildren, Damion, Dresdon, Destiny, Richele, Tyler, McKenna, Hannah, Jacob, Steven III, Draven and Walker; great grandchildren, Hayden and one on the way; siblings, Bunny Miller and husband Wayne and John Fazenbaker and wife Sue; and numerous nieces and nephews. Family and friends will be received at Durst Funeral Home, 57 Frost Avenue, Frostburg, MD, on Sunday, December 2, 2018, from 5-7 pm. Funeral services will follow at 7 pm with Rev. George Harpold officiating. Interment will be in Laurel Hill Cemetery.